Looking for private in-home or in-studio Guitar lessons? Our Guitar teachers are ready to get you started. Find your teacher today! The average cost of 60-minute guitar lessons is $59. While the exact cost will vary depending on the teacher, type of lesson, and your location, you should expect to spend anywhere between $17 and $207 per hour. For the best experience, we typically recommend 60-minute guitar lessons. However, students looking for a more affordable option may want to consider a shorter lesson length of 45 or 30 minutes. On average, 45-minute guitar lessons are 21% less expensive at $47, and 30-minute lessons cost 41% less at $35. Curious how much guitar lessons cost in your area? Do a quick search to get local prices for the best guitar teachers . "Great instructor! Easy to learn and fun! I will definetely keep up the lessons. Thank you so much Rafael!" Los Angeles, CA teacher: Rafael P.
ess is methodical as well as informative but he also brings in the student's technique to make sure you're developing properly when it comes to applying what is taught theoretically." sic piece until it sounds great. He's patient and easy going and it's great and fun to learn guitar alongside Robert"
New York, NY teacher: Robert H.
rds here and there but never with focus or improvement. After only three lessons with Paul, I'm now jamming to rock and the blues!Paul was quickly able to access my level of playing and I'm now understanding how the fretboard works and most importantly having lots of fun during lessons and practice. He teaches with passion and doesn't simply open a book but rather instills his lifelong experience and philosophy into lessons. Many can teach the mechanics of guitar but with Paul, you'll also understand the soul." hat was easy for me to understand. When my son gets a little older I'll be sending him to Andrew so he can start learning too!" San Diego, CA teacher: Andrew M.
"Ben is a very good knowledgeable teacher." in a short time. I highly recommend Bruce"
"Great teacher and does well with teaching children." Ventura, CA teacher: Steven S.
reat teacher and I would still be taking lessons with him if he lived here!" development over simple - sophisticated harmonic changes Alternate/sweep & tremolo picking, hybrid picking, slide guitar, hammer on/pull offs, (up to 8 finger) tapping, bending and whammy techniques. I studied with Eric for about ~6 months, wishing to reconnect with my singing voice and tackle harder tunes. Eric maintains a very positive and open approach to voice lessons, students of all levels/ages would feel comfortable working with him. He is a true rocker and fun to work with! Eric was very engaged, started teaching me songs and a bit of theory right from the start. I feel like my practicing now has some structure due to his guidance. Eric is an excellent Teacher ! I've been a student for a little over a year and he has taught me a lot ! He has shown me things I've never even heard of . He will push you to go further than you think you can go and succeed . That's a Hallmark of a Great Teacher !!! With each one of my students, I take into account how much time they are willing to practice, what genres interest them, and what learning style works best (for example, I've found that music theory makes things click faster for some people and saps all the enjoyment out of learning an instrument for others). I then come up with a structured lesson plan that is specifically catered to their needs. Years of experience as a live musician and teacher. I focus on bringing out your personal voice and to acquire the necessary technique to achieve your musical goals. Juan is wonderful and very knowledgeable in music. He is very patient and makes you feel comfortable. I leave a lesson feeling like I am accomplished and relaxed. It nice to see progress in such a little time. I go home with enthusiasm to learn more and want practice to do so. With a patient and intuitive approach, Juan tailors each lesson to fit not only the student’s skill level, but also desire for depth of understanding. When I first began taking lessons, I was only able to plunk a few chords and play along with a few basic songs. However, over the course of a year and a half with Juan, I gained a foundational knowledge of the classical guitar, as well as the confidence to site read and play a range of other styles of guitar music. He seamlessly integrated music theory concepts into song studies, helping me learn major/minor scales and chord shapes, and then apply this knowledge to better understand song structures and composition. It has been such a great experience learning from Juan, especially because he is both an exemplary teacher and guitar player! Juan is awesome. He makes learning guitar easy and never complicates it .. and makes it fun. He's a great teacher. The guitar is one of the most common instruments for beginner musicians. It’s fun to play, and with practice and dedication, most students can learn to play several easy songs within 1-2 months! We understand advancing guitarists might have professional goals, so our teachers can guide you how to increase chances of getting more and higher paying gigs. 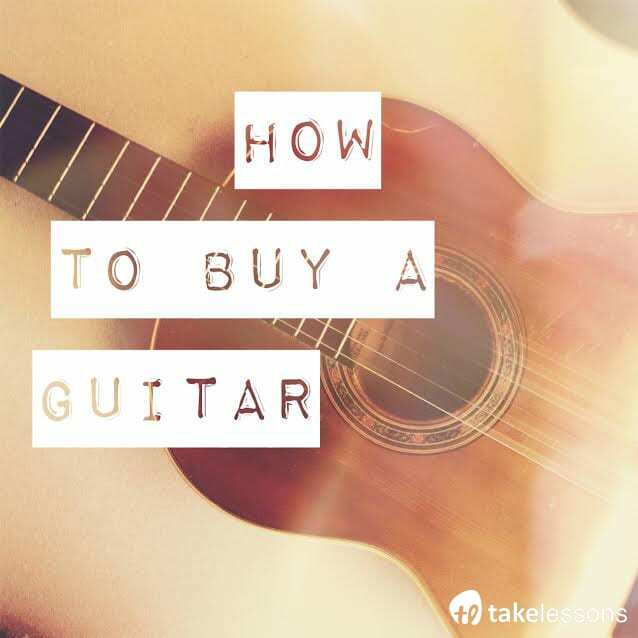 Who knows, someday, you might even become a TakeLessons guitar instructor and get paid to teach other aspiring guitarists like you. Science also has good news for kids older than preschool age. Research suggests music lessons improve academic performance, as well as cognitive skills in children. Guitar lessons and practice can help improve motor skills, cognitive performance, and listening skills at a young age. TakeLessons instructors are background-checked, and highly qualified to give your kids the lessons they need to stay engaged, enjoy the learning process, and to gradually and continually improve one key, one note at a time. After all, learning at a younger age yields the greatest and most long-lasting benefits. The last thing you want to do is force a kid into playing and practicing so much that they begin to flame out and reject something as powerful and life-changing as the Guitar. Some TakeLessons instructors specialize in teaching students with special needs. We believe that not every student learns the same way, and that every student, regardless of their special needs, is capable of becoming a great guitar player and musician. If you can’t find a special needs teacher near you, try searching for online teachers, to find the perfect teacher that can meet your or your child’s needs. Another great option is TakeLessons Live, where you can take unlimited group classes led by an expert guitar teacher, whenever you want for FREE, and practice the guitar with others like you. A new study on the long-term benefits of music lessons reports that older adults who took lessons at a young age process the sounds of speech faster than those who did not, regardless of whether it was a Guitar, or a harmonica, or an accordion, or any instrument for that matter. The study found that participants who had four to 14 years of musical training had faster responses to speech sounds than participants without any training — even though no one in the first group had played an instrument for about 40 years. Another study showed https://www.ncbi.nlm.nih.gov/pubmed/21463047 that practicing a musical instrument can slow down the aging process. The study of adults ranging from ages 60 to 83 revealed that those who played music regularly had better verbal and non-verbal memory, verbal fluency, visuomotor speed, and cognitive flexibility. Even if you’ve never played a musical instrument or shown any interest, it’s never too late to start. Even latecomers can fall in love with something as timeless as the Guitar. After all, age isn’t a relevant factor, when it comes to curiosity, pleasure, and determination. Learn about Guitar basics such as the role of strings, notes, chords, progressions, scales, tabs, and guitar theory. Learn about modes, licks, triads, riffs, arpeggios, tuners, amps, the fretboard. Learn to play with picks or fingers. Learn how to read sheet music, to play guitar by ear, and to understand music theory. Learn about differences between acoustic and electric guitars, and other specific types of guitars, such as country, blues, and of course, the classical. Learn how to sing and play guitar solo, or how to play guitar in a band. Learn about the various ways to tune a guitar: standard, alternative, and scordatura. Learn about the capo, slides, straps, amplifiers, speakers and other accessories used to hold and play the guitar, and to produce high quality sound. Learn about playing posture with both right and left hands, and dozens of techniques such as strumming, flat picking, finger picking, percussive, legato, harmonic, and other cool techniques. Check out this free video tutorial on how to play guitar like Prince. A free video lesson on guitar power chords. Lastly, to practice the guitar with others like you, sign up for TakeLessons Live Guitar, and take unlimited classes for free. Be sure to check out our blog for tips, advice, tutorials, infographics and more on learning the guitar fast. •	Lessons are fully customized for your age, experience level and interests. •	Extensive roster of certified, friendly teachers. •	Access to an online lesson journal to keep you on track and motivated. •	100% Money Back Guarantee. Our guitar instructors work with students of all ages: kids, teenagers, adults, and even seniors. We guarantee a customized experience that will exceed your expectations. In fact, we are so committed to your happiness that we offer all new customers a 100% Satisfaction Guarantee on your first lesson. We have local teachers available near you and in thousands of cities across the United States, with online guitar lessons as an option as well. Sign up today! If you're not ready for private lessons, learn how to play guitar with TakeLessons Live group classes, the new and affordable way to get expert instruction.